Perhaps you heard it somewhere in the office, or along your commute, or maybe even in your own home—chances are, though, you’ve heard it by now—the telltale cough or sneeze that announces the start of cold and flu season. Health conscious people everywhere understand the ongoing struggle of seeking out real, whole foods and saying no to the convenience of fast foods. In her latest book Unprocessed, Megan Kimble shares findings from her year-long quest to explore what unprocessed foods really means. In her new book, Slim Down Now, Cynthia Sass offers a complete guide to harnessing the power of pulses to achieve weight-loss success. Sass introduces a unique class of protein-rich carbs—including lentils, beans, and chickpeas—called “pulses” that satisfy your hunger while simultaneously whittling away belly fat. 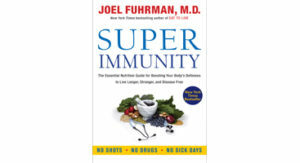 Superior nutrition is the secret to Super Immunity, says Dr. Joel Fuhrman. That’s why Dr. Fuhrman believes that the secret to staying healthy lies not in medical care, but rather in changing the way we eat. In Super Immunity, Dr. Fuhrman shows you how a few simple changes to your diet can help you maximize your immunity to seasonal illnesses. Stay strong and healthy this flu season by adding key superfoods to everyday meals. Here’s the rub. Making big changes and eating real food can be tough. But by following some simple, delicious food rules it’s possible to do both. 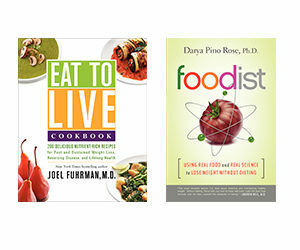 Oprah.com asked top experts, including Dr. Joel Fuhrman and Darya Pino Rose, for their best advice. Shape gathered the top advice from 12 A-list experts for eating clean and making dessert part of your diet. 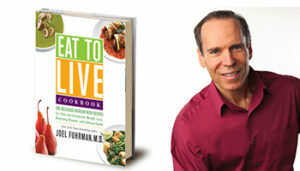 Eat to Live Cookbook author, physician, and nutritional researcher Dr. Fuhrman shares his simple healthy eating tips with the magazine.